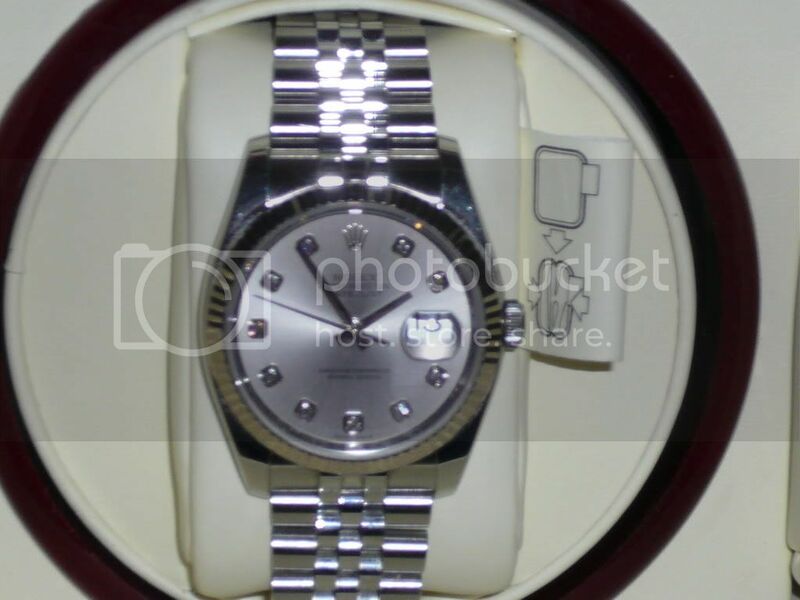 It's the official Rolex Oyster Perpetual Datejust thread! The Rolex Datejust is waterproof up to 330ft/100m,a timeless classic design. Last edited by Darkangel; 19-05-08, 12:02 AM. Can we have a Datejust owner list? More please...hahha...just copy and paste! The DJ is usually perceived as the "Ah Pek" Rolex watch for those that are not familiar with the brand. More so for the Jubilee Fluted bezel DJ. Younger folks would prefer the Sub over the DJs any day. Yeah...I have the Jubillee Fluted bezel DJ my grandfather pass down 1. Ppl say I look very Ah pek..so I bought the Exp II. Hahaha..yours is the WG DJ or the SS DJ with WG bezel? So what are you trying to say...my not gd la...then urs better?! [Hi I'm new here just joined the club only. Moving into vintage rolex... targeting on good condition DD1803, Explorer1 1016, Explorer2 1655. If you pick up a starving dog and nurse him well, he will not bite you; that is the principal difference between a dog and a man. All times are GMT+8. This page was generated at 06:05 PM.